SUNNYVALE, Calif.--(BUSINESS WIRE)--Quanergy Systems, Inc., a global leader in the development and manufacture of LiDAR sensors and smart sensing solutions, today announced it has secured Series C funding at a valuation exceeding $2 billion, with a global top-tier fund as the lead investor. Raising the Series C financing takes the company well beyond its planning horizons to cash-flow and operating breakeven, and keeps the company’s IPO process on track. Demand for Quanergy’s solutions continues to be strong, with revenue increasing rapidly and bookings exceeding forecast. Product and software development continues at a brisk pace. Substantial orders for the company’s S3 solid-state sensor were fulfilled this year. Rapid innovation continues to increase the field of view (FoV) and range for the S3 in outdoor environments. 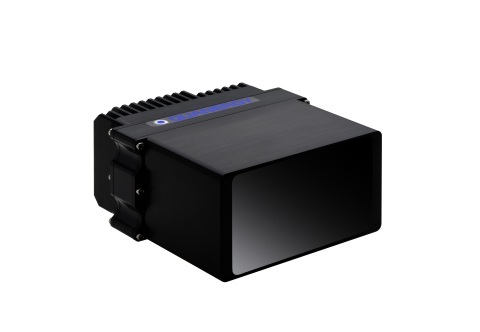 Led by the world's most experienced and innovative LiDAR team, as evidenced by its seven granted and eight pending patents, Quanergy has pioneered the development of low-cost, high-quality compact solid-state LiDARs for a wide range of applications in autonomous vehicles, smart security, industrial automation, and 3D mapping. Since the end of 2017, Quanergy has had an annual production capacity of one million solid-state sensors at its fully automated production line in Silicon Valley. The completion of this round of financing will further enhance the company's capital reserve, to accelerate innovation and commercialization of its hardware, software and smart sensing solutions, and construction of ultra-large-scale production facilities. Since the beginning of this year, Quanergy has been receiving numerous awards and certifications: Juniper Research's annual best consumer product award in Automotive and Telematics, Silicon Valley Chamber of Commerce’s annual award for Outstanding Innovation in LiDAR Sensing Technology, followed by ISO 9001:2015 certification, and IATF 16949 automotive production qualification for solid-state sensor production, a big step in the mass production of automotive-grade S3 LiDAR, the company’s flagship product. "With our advanced technology, we have reduced the price of solid-state LiDAR to a few hundred dollars in volume,” said Dr. Louay Eldada, CEO of Quanergy. “Our third-generation solid-state LiDAR is being developed to fully integrate the sensor on a single chip. For Quanergy, the most important focus at the moment is to speed up the production ramping and prove our strength with mass-produced products." Quanergy Completes Series C Financing with a Valuation Surpassing $2 Billion.